Yes, that is Bella, overseeing the move. She's an excellent manager, apparently, because while I was at work Marc got most of the packing done. Unfortunately we picked 2 of the hottest days of the year--with high humidity & bad air quality, too! Oh boy. NO Plastic Bags! Make your own shopping bag! My friend Vicki, in Pacific Grove, CA, is part of a program to disallow plastic bags within the city limits. Plastic bags are a huge problem there--they end up in Monterey Bay & kill all sorts of wildlife, mostly sea turtles & sea otters. So here are a few ideas for making your own re-usable shopping bag. The first is how to turn an old t-shirt into a shopping bag. And the other site is a list of 50+ different sites that have "how-to" instructions to make your own shopping bag, so you don't need to make the paper or plastic decision ever again. Recycle a T-Shirt into a shopping bag! Instructions here. 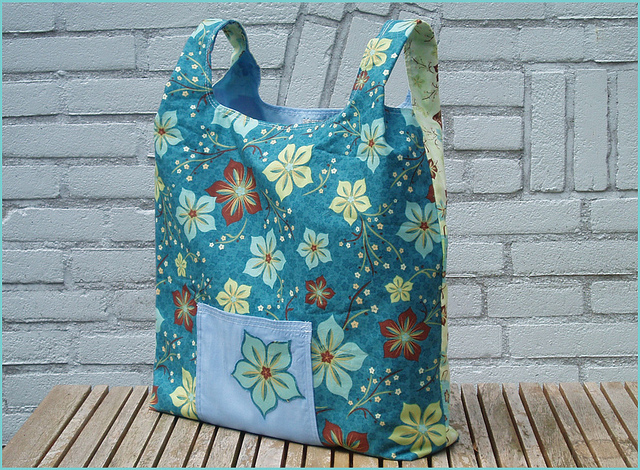 And another site with many patterns for making your own shopping (or book) bag. The photo is from Essie's Handcraft Cuteness on Flickr. 2. Make one with duct tape. 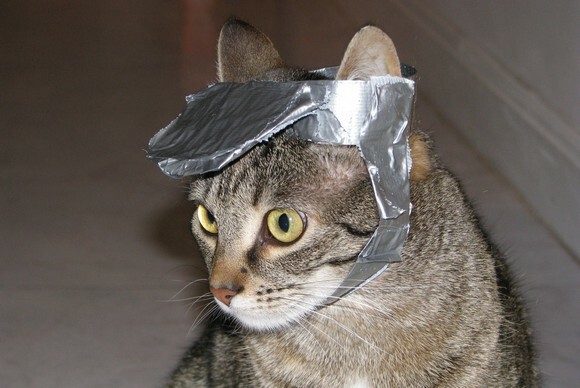 My roommate thinks that he's the only one allowed to use duct tape around here, so he'd get to help, for sure. Bella, however, is more interested in this fashion item! When the roommate & I started travelling oh these many years ago, we spent some time trying to figure out what we could collect that pretty much all countries would have. We also wanted something non-breakable & not too pedestrian. Well, we did end up collecting lots of coins, paper money & stamps, but we finally settled on textiles. We met a couple collecting ceramics! Yikes. Breakable & HEAVY! Textiles are great, because they are not heavy, and they fold & mush, so are pretty easy to get into a backpack. And often we ended up wearing what we bought (for instance, in Bali, it's polite to wear a shirt--not a t-shirt--plus a sarong, whether you're male or female to a temple or festival). 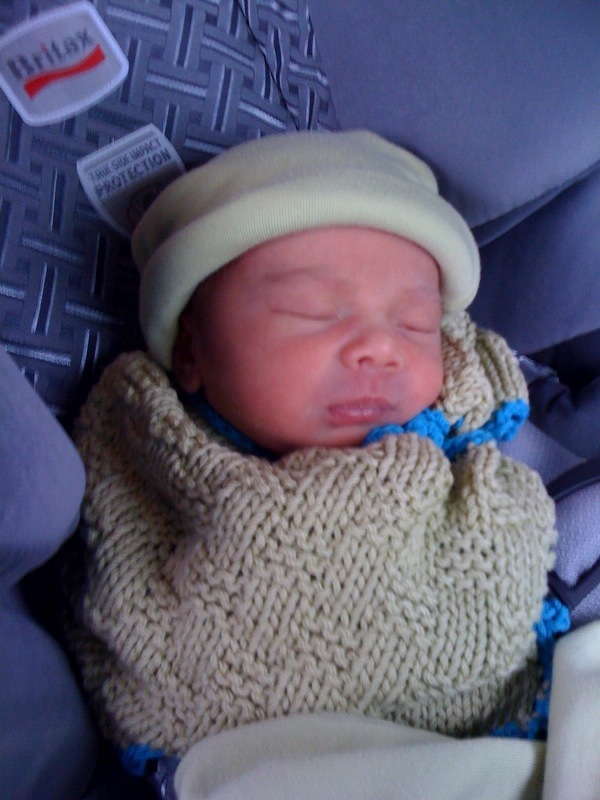 And in Nepal, we needed warm jackets--we got lovely woolen ones we still wear. Our yukata & hapi coat (Japan) still serve as summer housecoats, though mine is on its last legs. However, it wasn't until I worked at the Brooklyn Museum that I found out that, in terms of care, textiles are a royal pain in the patooti! The BM was trying desperately to divest itself of its textile collection of 19th century items. Why? 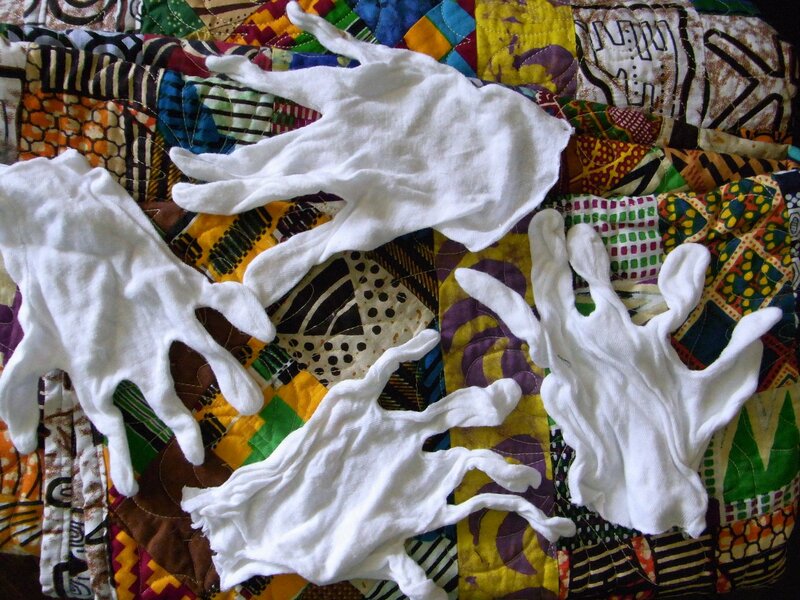 Because textiles need to be kept out of the light, you can't touch them with your hands (oils! ), they are hard to clean, and, unless you collect polyester, they will eventually disintegrate; and don't forget moths! All of these things make textiles extremely labor intensive, and not really worth the $$ for a museum like the BM without a huge endowment, especially if it's not a textile-specific museum. 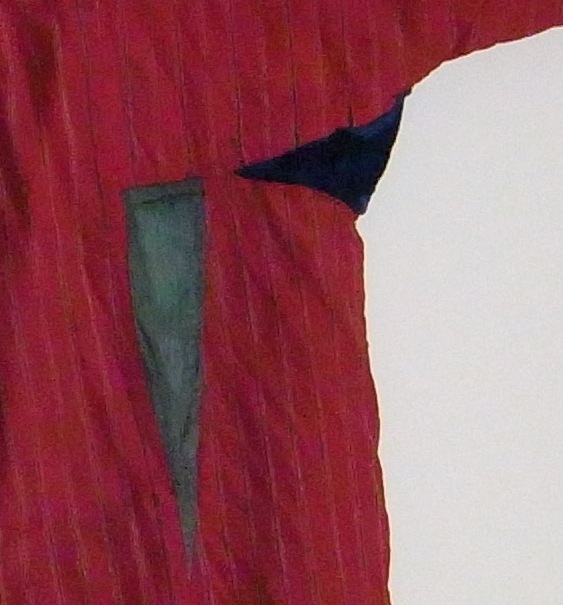 If you'd like a more hints about caring for your textiles, the Textile Museum here in DC has a How-To-Care-For page, which also includes how to hang sturdy textiles, if you'd like to try that. There is also a once-a-month ask a curator/conservator meeting wherein you bring your treasures & they tell what it is, where it's from & how to care for it. 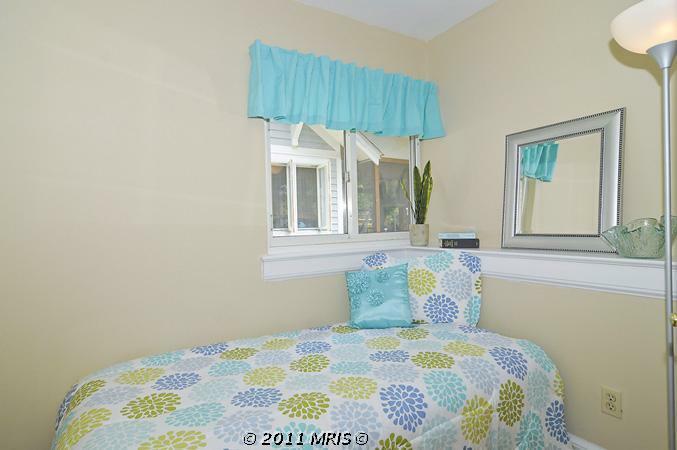 More on craft/sewing room spaces - these are great, but too big! +GeekDesk! I thought I'd found the perfect furniture at Crate & Barrel: the Bedford pieces you can fit together yourself. But then I figured out all the furniture measurements & tried to fit them into my 10' x 6' room (thanks to my roommate's purchase of 1/4" graph paper--so helpful!). Basically, I could fill up the room, but not be able to walk around in it! So now I'm wondering about a standing desk for my sewing machine. Check these out at Geek Desk...one of the problems my husband & I have is that we are tall (not real tall, but taller than average) and we find that even 36" high counters in the kitchen aren't high enough if we're working more than an hour or so. And I use our kitchen table (30") for my cutting board, and have to stop every 1/2 hour or so because my lower back needs a break. When we lived in Abu Dhabi, we had an Ikea Galant corner desk, plus a longer side piece attached & it was great because we had it raised all the way up to 36". For cutting strips for quilting and the cutting board, it was great. 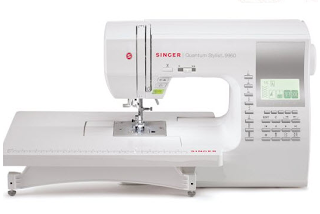 But I had my sewing machine on another regular table at 30", which I sat at. 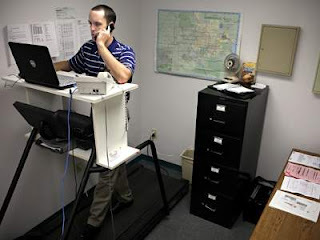 The photo is from this article in the Gainesville Sun about how unhealthy it is to sit & how a treadmill desk might fix your lower back problems. Now I heard that John Dickerson loves his new standing desk (and of course all the scary news about how as humans we evolved moving, not sitting), so I'm wondering if any other sewing goddesses have tried this? Music? How about the theme from Lost in Space?! 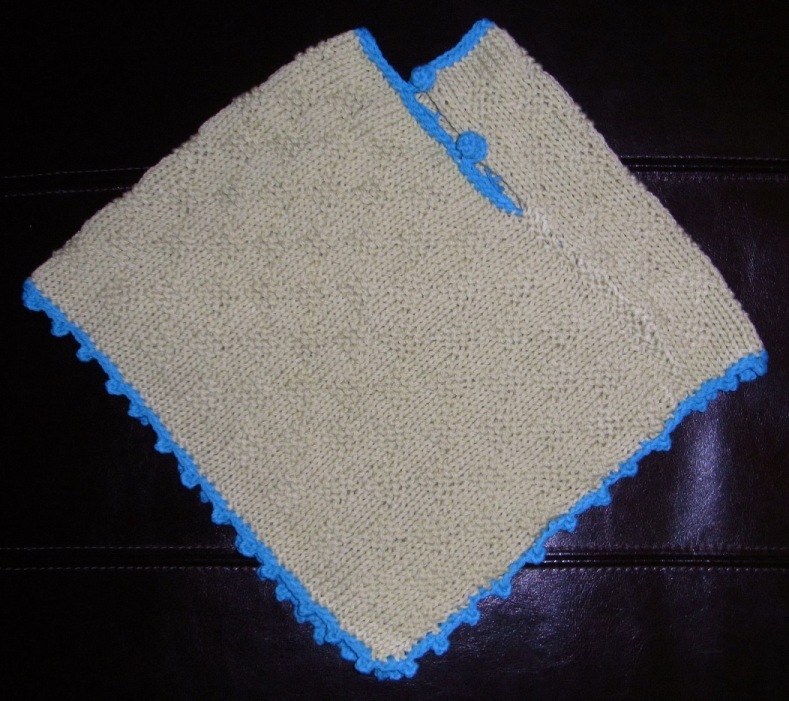 This is from the BB Bags pattern by Mickey Beebe, on Tracey Brookshier's website. 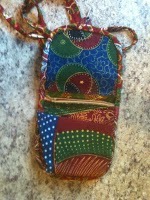 I used some of my West African fabric, which I bought in Accra. It's hard to tell but it's actually 2 complimentary fabrics. They do a lot of that over there, lovely matching sets of fabric. 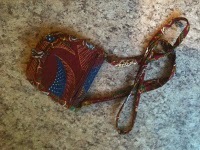 First, some pictures of the little purse I made. Here, you see it open. I took these pictures w/ my iphone, so they're not great pictures, but hopefully you get the idea.There are plenty of zippers & pockets. The only problem I really have with the design is that everything you are carrying must be flat! So it's hard to put both keys, a phone & some chapstick in there all at once! For the closure, I had originally put on an African bead along with a string loop I attached after I'd put the binding on. It quickly broke, but the closing loop (made of the same fabric) is still on there. I close it now with a safety pin; not so cool. What I really need to do is undo the binding, sew in another loop, with the bead already on it, then use the loop that's already on there to close it. 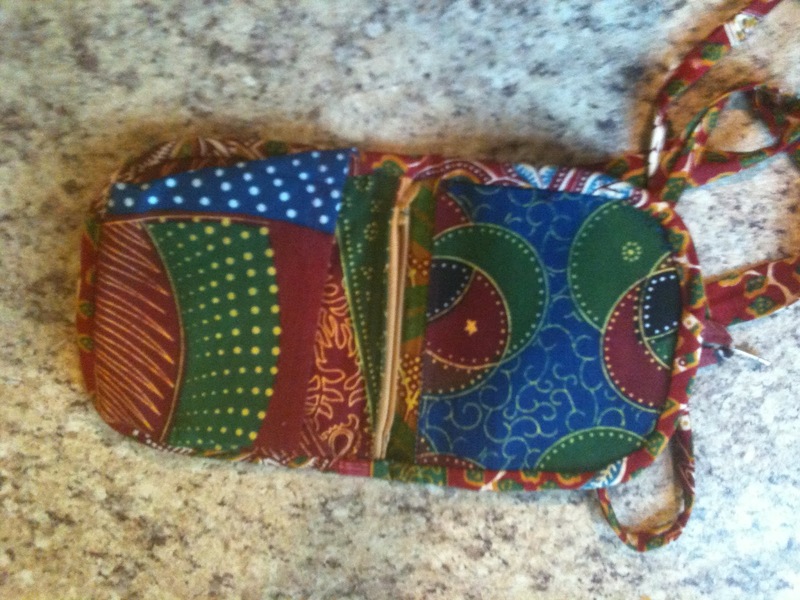 I made one for my mom, too, also with other West African fabric. This is a small caftan which we've had hanging on the wall in our hallway. We have hangers up all over the place with clothing on them. Possibly a weird way to decorate, but how else will we enjoy our treasures? It's woven silk, with this amazing printed cotton lining, and lots of embroidery on the edges. A friend borrowed it once for a Hallowe'en party; she was quite small, so it fit her beautifully. One thing that's interesting about the design is that the pieces of silk are all rectangles, but to make gussets & darts, (the places where humans bend & change size), they've created those with pieces of velvet & silk, in contrasting colors. The two top pictures show this design element pretty well, I think. Whenever we travel I try to buy a packet of beads. So when I needed some lanyards for work, I decided to get out some of those beads and make fashion lanyards. Here are 5 I've made. I get compliments on them & now have enough that they match most of my work outfits! Perfect music: Cold Beverage by G. Love & Special Sauce (is that the best band name ever?!) It's 100F+ today & tomorrow...and I'm not even mentioning humidity here in the DC area! So, yeah, I like cold bev-e-rage! Our female students didn't like having their photos taken but we got some of our male students to show how they tie/fold their misrs. They are quite a fashion item & worn as scarves the world over, so are readily available. Here's the page...after reading about them, click on our students' names to see how they're folded in different parts of Oman. If you try it yourself, let me know. Or better yet, send me a picture! When we left Istanbul (and we were in a hurry) we had to leave lots of stuff behind (sewing notions, lots of sewing notions!). 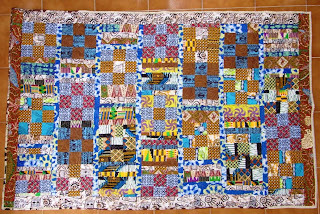 And this quilted wall-hanging, which I didn't think I'd miss, but I do and I might have to make another to replace it. It's supposed to be a window looking out on a flower garden. What do you think? 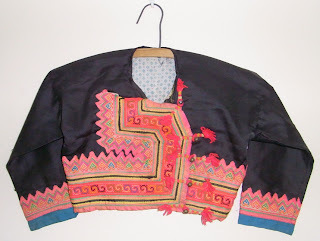 We bought this in Mae Hong Son, up in the Golden Triangle part of Thailand (near the Chinese & Burmese borders). I'm not sure, but I think it's from the Lisu Hill Tribe, mostly because of the style of embroidery. It's a great example of the care & expertise that goes into children's clothing. Another thing, which you can't tell, is that the silver beads have little stones (or something) in them, so they make noise when the child is running. Much less irritating than those children's sneakers that flash or beep each time a little boy or girl takes a step in the western world! We've collected a lot of children's clothing (though we don't have children!) in our travels. Why? Well, this is what I think...20-30-40-50 years ago, the world must have been even more amazing than it is now: Dutch people walking around in wooden shoes, Indonesian women in dresses made of birch bark, heavily embroidered aprons in Central Europe, woven Kente and raffia cloth in Africa, felted wool caps in Ladakh, and sealskin outfits that kept you warm but let you sweat in the northern latitudes. Wow. The world is still pretty amazing, but clothing is not why you go traveling anymore. Unfortunately, in most places, traditional clothing is something you wear for a festival, a graduation ceremony, a wedding, and most other days you wear pants and a shirt or t-shirt. (This isn't completely true; here's a brief list of great places where you can still see people going about their lives in the clothing that they've been wearing for the last 200-1,000 years: Guatemala and southern Mexico, Indonesia, Ladakh, Bolivia and especially India and Japan. The Persian/Arabian Gulf region is great, too, but traditional clothing is actually mandated by law in many of those countries.) Something else we've noticed is that when traditional clothing is being worn, it's usually the women and children wearing it. Men's couture seems to be the easiest to switch to pants and a t-shirt. Also, children's and women's clothing is amazing because of the care and hard work that goes into decorating it. And for us, travelling over the last 20 years, women's and children's clothing is really all that's left in antique stores. The care, hard work and design that go into creating and decorating children's clothing also indicate how much the child was loved. My guess is that the women doing this work had plenty of other things to do, but they spent a lot of time on these clothes anyway. 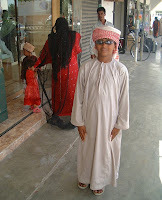 So here are a few items from the Sultanate of Oman. There's a good clothing article with lots more photos here. And a more authoritative article here (from the government). 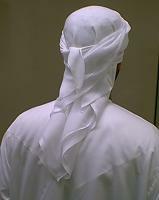 The little boy's dishdashah (above) is worn all over Oman, and you see them mostly in white, though sometimes in other pastel colors. This little girl's thawb (left), is typical of little girls all over Oman, but for adult women it's more typical of central Oman. It would be worn with loose pants, called al basta. The embroidery on this has been done with a sewing machine. Not that it looks any easier than doing it by hand--I've got some great examples of extremely intricate machine-stitched embroidery I'll share later. It dawned on my this morning that you might like to see real children in these clothes. Fortunately we took a digital camera with us when we went to Oman in 1998 and those photos are fairly easy to sort through (once I'd gone downstairs and dug out the backup hard drive). 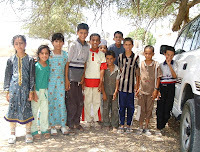 First of all, a photo of some children in an oasis near al-Mudhaibi, which is near our favorite souq, Sinaw. The kids were overjoyed because after walking around the oasis for a while we returned to find a goat on the hood of our car! (Goats will find any method available to get up into the trees for a good meal of leaves.) I think this photos illustrates my earlier point: most of the boys are wearing western clothing (the only boy in a dishdashah and kuma--Omani embroidered cap--is hidden by the others)...while the girls are dressed traditionally. But of course we have plenty of photos, so here's a nice one of a boy in a dishdashah and misr, and very cool sunglasses, taken in Sinaw. The woman behind him is in traditional Bedu dress-up clothes. 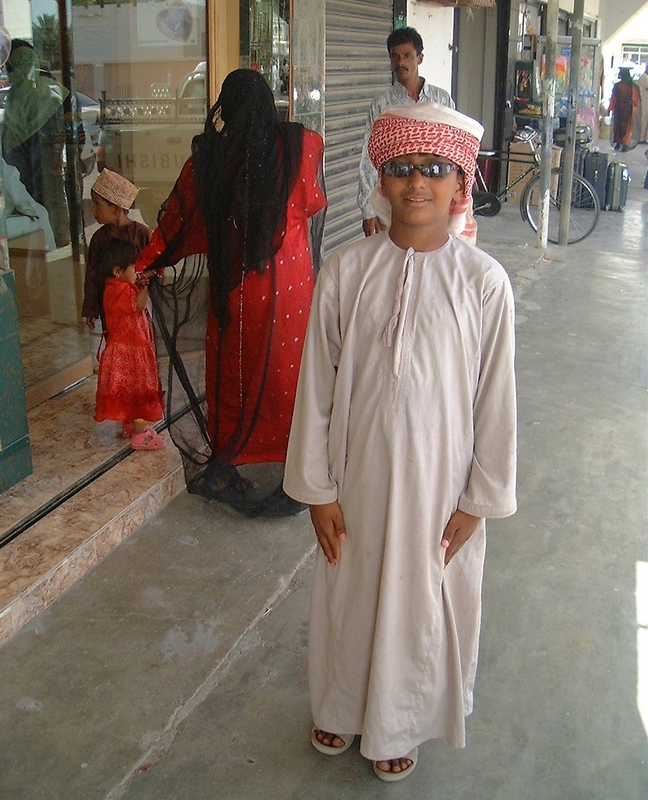 The Bedu mostly live in the desert and only see their friends when they come to the souq (which is held weekly), so it's definitely a dress-up day. Of course it's impossible for me to write a post about souqs in Oman without including a photo of a camel. 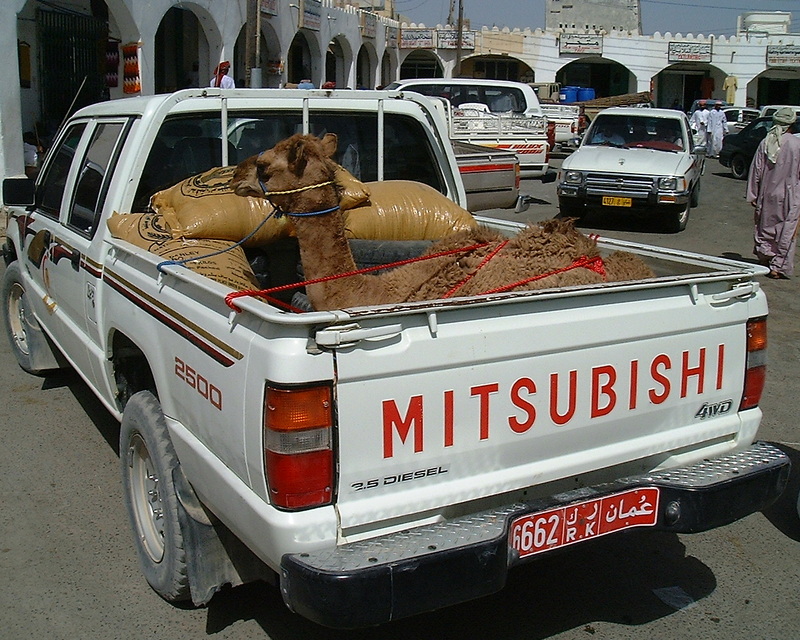 And this is my favorite type of camel photo--a camel in the back of a small pickup! We saw these all over Oman (once we got out of the capitol) and I loved it; what a reminder that you're not in Kansas anymore, huh?! Bella, in her box, ready for the move! Well, with any luck, we'll be making our last move on the 29th of July! 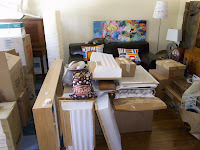 Since we started living together in 1983, we've moved 19 times (a lot of times "moving" was putting everything into storage while we went travelling, or camping for months at a time). So, hopefully the 20th will be our last move. The roommate has been doing lots of packing and there are boxes everywhere; fortunately I'm working so have an excuse to not be helping too much! You can see that Bella, the CEO of Bella Industries, Inc., has done her part by getting herself packed & ready to go. Thanks, Bella! Speaking of moving...Curtis Mayfield + horns: Move On Up! This is a cotton boy's kimono that is lined for winter. It's in great shape & is mostly interesting for the belligerent symbolism on it. When we bought it in Japan, our friend, Noriko couldn't believe how obvious it was...the little boy, holding a Japanese flag is sitting on a globe. The owner of the antiques store we were in started laughing when he saw her face! Of course, it's something they learn about in school in Japan, but to see it printed as a piece of fabric (and think about it--there were probably yards and yards of this fabric printed), really surprised her. I like children's clothing because a lot of care goes into the creation and decoration of these items. There are examples of Japanese technological achievements everywhere: railroads, airplanes, binoculars. "Go forth & conquer!" the clothing seems to be telling the boy (Update: Actually it's a propaganda kimono. 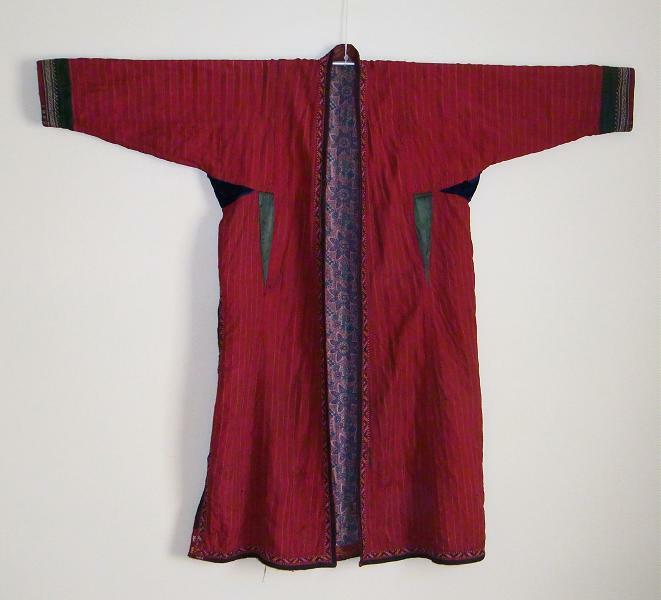 Here's a link to a Metropolitan Museum exhibit, which had 2 such kimono, one for a little boy (like ours) and one for a woman made of silk with gold thread!) This is just one piece of children's clothing that we've used to decorate our bedroom; hope you like seeing it! Music? My favorite song by Lindberg, だってそうじゃない , (Datte sou ja nai!? ), from 1993. That's a great live version. Maki Watase rocks!! Thanks to Pattern ~ Scissors ~ Cloth for the great tutorial on a handworked thread loop. 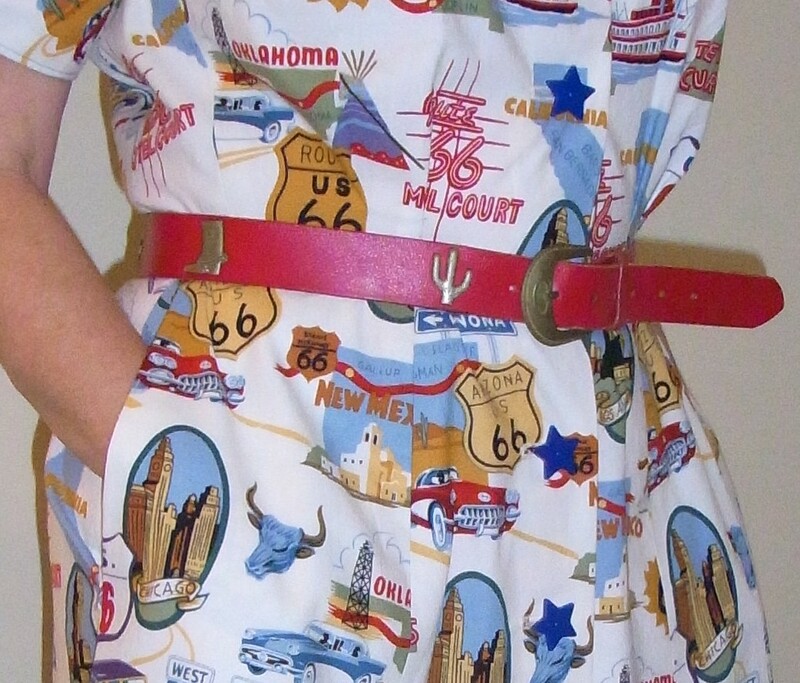 I have been looking for a way to make an invisible loop for the belt on my Route 66 dress. Since I didn't know what to do, each time I've worn it, I just get some red thread & tie it around to keep the extra belt flap from flapping (a great flapping picture to the left--it even casts a shadow!). Which works okay, but I usually walk during lunch w/ co-workers, so I change clothes--and almost always break or lose the thread loop! Yesterday, I was glad to read Sherry's blog and learn how to make a more permanent loop myself. I can't say mine is as neat as Sherry's, but still, I think it looks great. I tried it on last night, so I know it works; I'll wear it to work tomorrow (a scorcher, 100F, so a dress--yes!). I used the same length of thread Sherry recommended (about an arm's length), but DUH! I was doing a much bigger loop. I ran out about 1/2 way thru the blanket-stitch. But I cut off more thread & wove that in & that worked fine. The belt rests right on my hips, so the loop doesn't have to bear the weight of the belt. Thanks, Sherry! Unfortunately, the girl's pattern is missing. But when I opened it (actually, took it apart, the edges are completely disintegrated), I found the doll's pattern! Yay! It's obviously been someplace where there was moisture. One of my dreams (once we move, next month) is to have a nice storage area for items like this. Archival quality boxes for photos, textiles, and supplemental accoutrement, such as this, or backstrap looms, or whatever. All in boxes sorted by country. With lots of anti-moth controls, thanks to these hints from the Thrifty Stitcher. I have not tried to date this. I'm guessing 30s or 40s, just because of the age of my mom & her sister. To the left you'll see the first side of the instructions. Since these instructions are usually drawn to scale, it would probably be not too hard to re-create the missing pattern pieces. Although my guess on easy is usually w-r-o-n-g! (Just ask my roommate...) Here are the other side of the instructions. Finally, the pattern for the doll's dress. I hope you enjoyed seeing this! Leave me a comment to let me know what cool patterns you (or your mom) have found! Looking for small sewing studio suggestions! 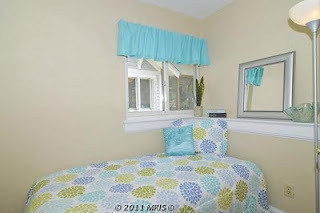 Here are two more smallish sewing studios, one from HGTV and one from MpressiveThreadzStudio. And of course Tilly's idea to check out the photos on Flickr for Craft Rooms. In the meantime, I'm not so sure I'll get the whole room after all...my great idea to add a bedroom basement and bath really isn't possible...or is it? Anyway, that tiny space may end up being a single bedroom (murphy bed back on the possibilities list) and a sewing room! Uh oh. So I'll need suggestions for even-smaller-space-sewing-studios! In the meantime, I'll give you a look at the room, which has no closet (there's one outside the room, across the hall), and only bi-fold doors. Of course it's got a window & a nice ledge for books & kitty. Notice the nice neutral ultra modern paint. I love it & the whole house is like this (different colors, none of them buttercup)! Which is great, when you see our decorating style; we have plenty of interest & color...in this picture you can see that yes, Indiana Jones is our interior decorator. 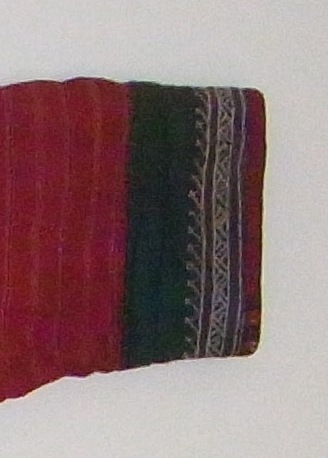 Mola (framed) from Panama. Whale vertebrate from the coast of Oman. Basket from Botswana. Fabric stamp from Iran. Bakelite radio from our old radio collection. And the Bobo mask, which I carried on my lap on buses thru W. Africa and even on the plane, is from Burkina Faso. I've made many of these (20?) as gifts for friends & I have 3 of my own. A friend gave me the pattern, Zip It! Screen Play bags by Nancy Ota, along with a few yards of Pet-Screen (it's screen door material that pets can't destroy with their claws). It's a quick project (45 minutes is my record) and they are such great gifts. You can make them in many different styles & configurations. You just need a few strips of fabric and zippers. 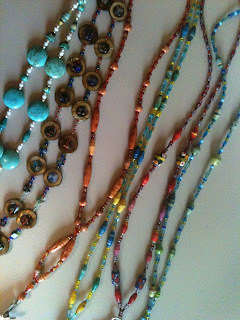 You can also decorate the zipper pulls (beads, bows) to make them more interesting. You'll notice I couldn't resist adding some of my West African fabric--it looks so good with the black, but apparently there is colored Pet-Screen now? I haven't looked for it, so perhaps it's easy to find. And I turned one into a purse by adding a strap--it's useful for hikes, bike riding and birding trips, when I just need a few things. The bags above are from Nancy Ota's website; aren't they cute?! Other stuff I've made: Sweater for friends' new baby girl! Okay, this beautiful girl is 9 months now. But I made this right after she was born & thought I'd made it plenty big enough. But, it fit her when she was only 3-4 months old. Which shows you how much I know about babies! It's cotton & I could not get the neck to be the right size (I can't remember which book I got this from--something from the library). So I just made a neck opening and crocheted buttons to close it. 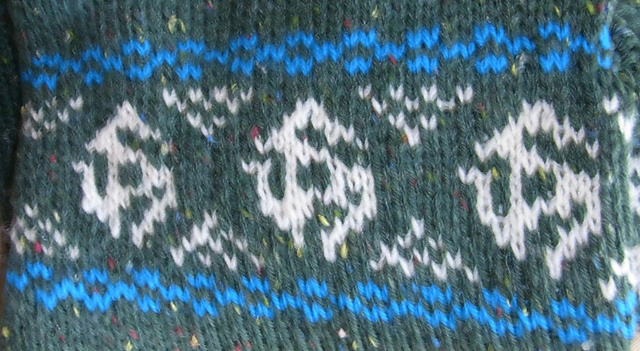 The trim on the edge is also crocheted. 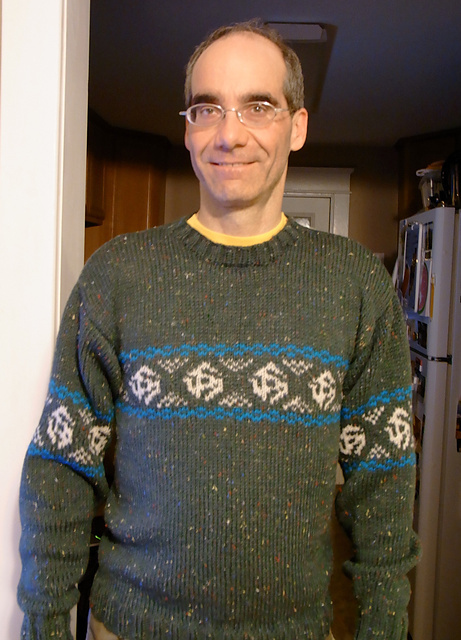 Here's a sweater I made for the roommate for Xmas 2009. He has another I made 20+ yrs ago & it was too loose when it was finished, is rather ridiculous now. I may unravel it & do something else with the yarn. Anyway, we met at a college radio station, hence the gadgets on his sweater (see detail). He loves it & gets lots of compliments on it. It's fun to make stuff for him, because he will wear it. I also like having a roommate to dress up. BTW, I've just added a tag cloud to the blog (near the bottom) & have started trying to standardize the labels (tags) I add so with any luck these posts will be searchable. Let me know if you think I'm missing any useful tags or if you think I've mis-tagged something. I'm a librarian, so tagging is my life!! 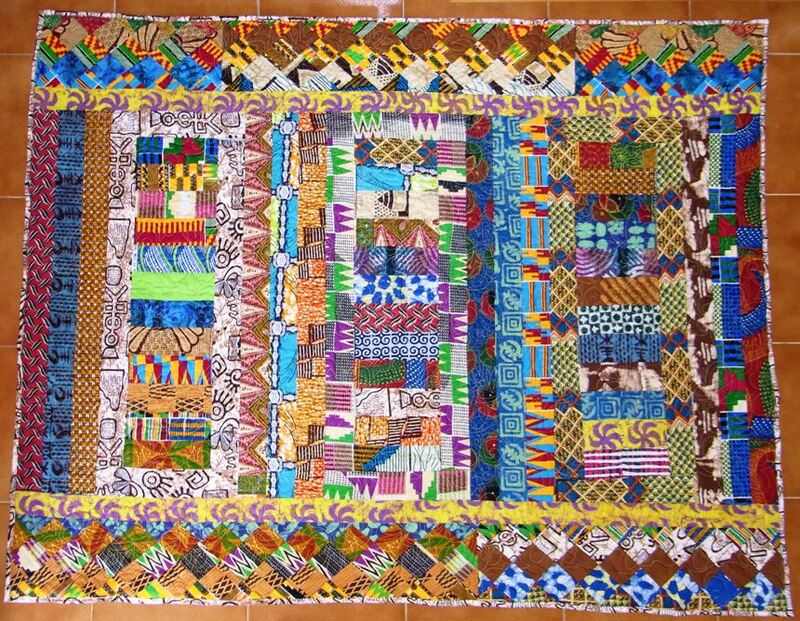 The first quilt (they are smallish 6' x 4' or so each) is called West African Fabric shop and shows nice orderly rows of fabric, one each of every kind I bought! A friend in Dubai machine-quilted them for me. 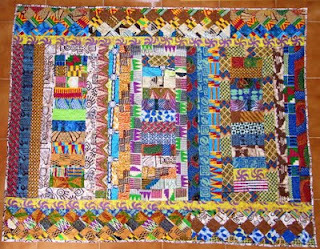 The second quilt is titled The Anarchy of the African Market. We like markets and find that they are a good place to observe the local people just being people, not selling things to tourists, or performing in any way. We like to walk around a good market for a long time. 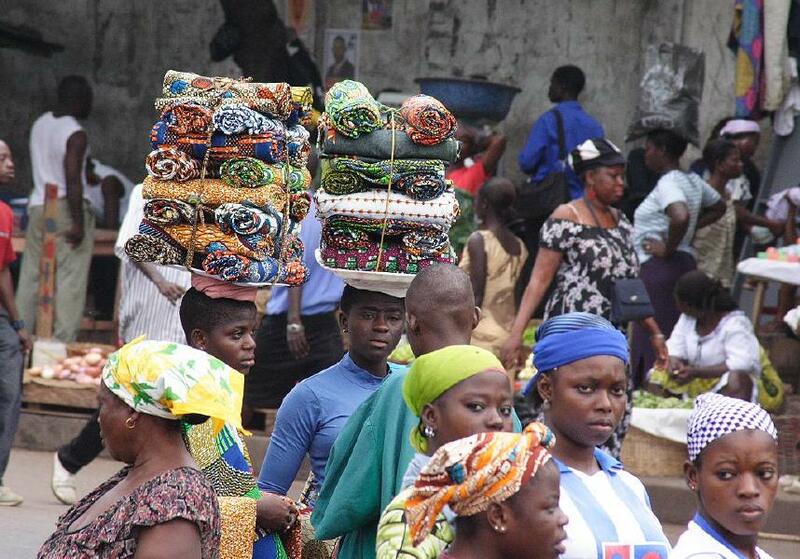 But the markets in Africa are pretty chaotic, to say the least, and really, downright scary. (This doesn't include the much smaller, much harder-to-get-to markets of Goram Goram, Burkina Faso, or in Bahir Dar, Ethiopia, which were fun, friendly, not crowded and very interesting--though not if you were looking for tourist treasure.) So this 2nd quilt tries to reflect that anarchy and explains why I ended up not buying much fabric at the markets! And mostly why we skedaddled after 20-30 minutes...we did try to go a few times, in Ouagadougou, in Accra, in Lame, and in Tamale, in northern Ghana, but never lasted a half hour--scary! Jammed so tight you knew you were a target for robbery (I get nervous about this anywhere in the world), and also, it was pretty easy to lose each other! Yikes. This last one is a table cloth, and it sort of quilted itself, because as I sewed each strip on, I sewed it to the backing, then I just put the binding on. Hope you like seeing these. Comments? Questions? Here's a mix of classic highlife music to get you in the mood. I'd recommend looking for a classic highlife (50s-60s) CD online, or at the library, to get a better taste of this amazing music. 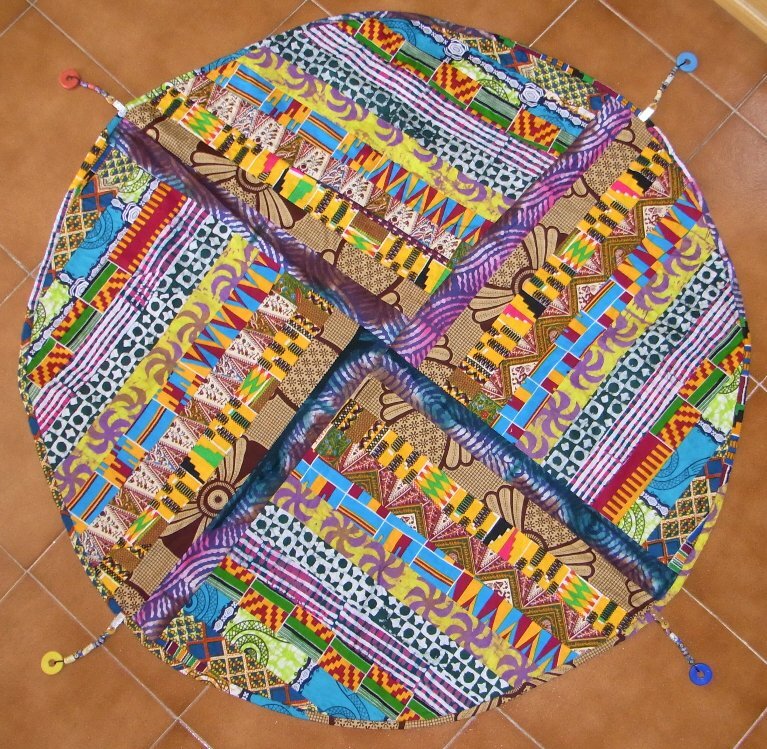 African fabrics & crafts catching on in the fashion world! You heard it here first! 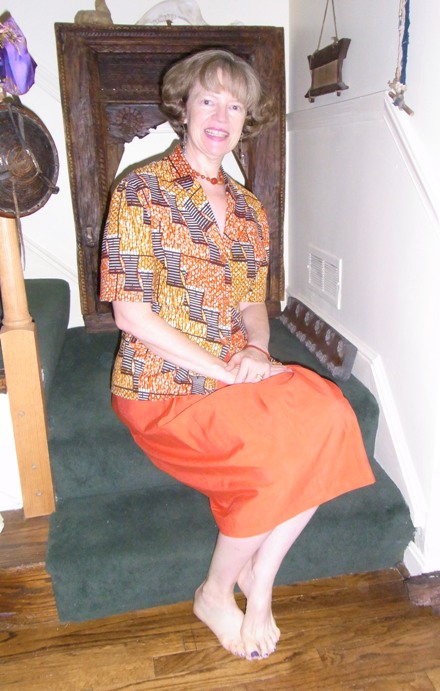 So, my fascination with African fabrics is catching on, according to an article in the Washington Post on June 30. I'm such a trendsetter. If you check out the slide show associated with the article, picture 11 is my favorite: a lovely stack of fabric--super duper yummy. 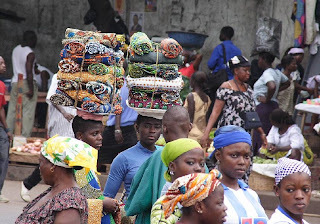 Speaking of yummy stacks of fabric, here's a picture we took in Ghana in 2006 at a bus station. We were fascinated by how everyone could carry stuff (big stuff!) on their heads, so took the photo to show that--but of course I love the fabric, too...I bought 80 lbs there. If you'd like to see more of our photos from that trip, they are here...and thank you Reocities for reviving our once-dead Geocities site. Here's an article about carrying stuff on your head & its efficiency (or not). The roommate thought of this song: Goin' Out of My Head, by Little Anthony & the Imperials. 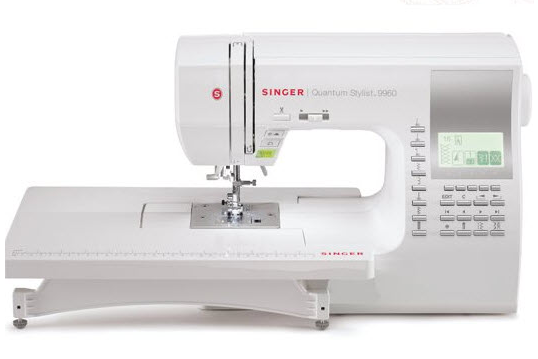 This is a picture of my sewing machine, a Singer Quantum Stylist 9960. I had one in Abu Dhabi (and left it behind in Istanbul because of the differing electricity issues). I liked it so much that when I got another for my birthday last year I got the same one. And lucked out, because this one is like my old one, but it's now got a quilting-table attachment, and it's got more features (knot & clip). So it's the same, but better. Yay!! This song popped into my head the other day. My roommate is not the monster, though...I suspect he sings this about me! My Beloved Monster, Eels. MMJuners, please forgive me. I'll stop w/ the Mohammed-Made-June stuff, though there's quite a bit more in my closet. But I do love this skirt. 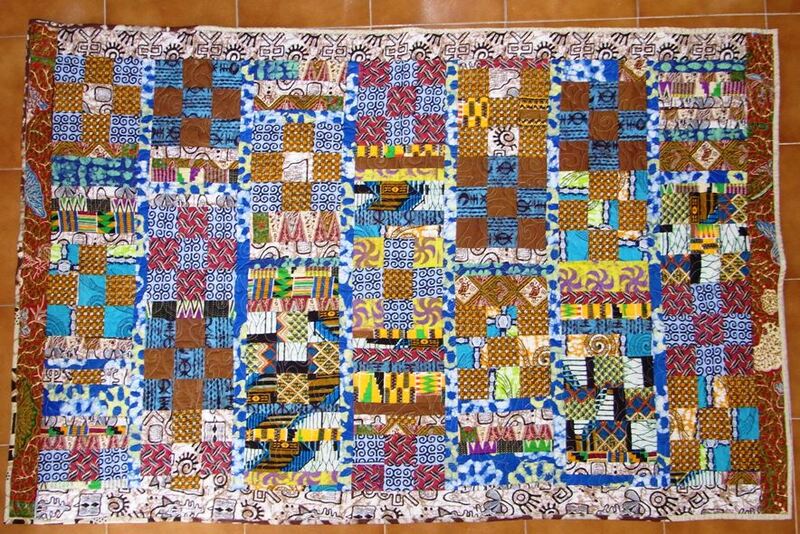 It looks like Adinkra, which is stamped fabric made in Ghana, though this is batik, not stamped. (BTW, that video is great and even includes the symbol on my skirt.) 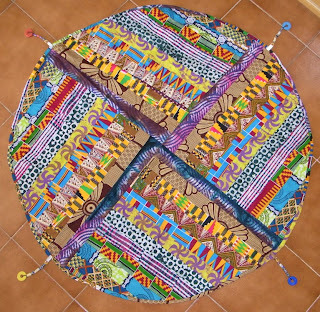 The symbols have meaning, and you see a large variety all over Ghana, on fabric, artwork, decorating stores, buses, labels in the grocery store--everywhere. Anyway, the Gye Name symbol (on my skirt it's the non-square symbol) means the "supremacy of God." Wearing this skirt is always a great opportunity to get out my green/turquoise sandals, my turquoise sunglasses and my turquoise (as opposed to green) turquoise. 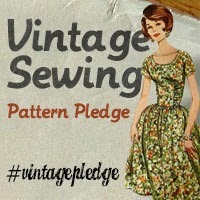 In the meantime, I've been checking out some sewing rooms online. Here's one, from At Home Sewing. Very cute but she has some technical skills I'm lacking (like making that drawer for thread by cutting acrylic--huh?) and a much bigger room--about 60% bigger! But I do like using a drafting-board type desk for the machine. And those drawers have spindles tall enough for a spool of thread & the matching bobbin! Great idea. And I found someone who has our kitchen table, she's going to turn it into a sewing table (which is what I was thinking, too)! Here's a very small area, lots of cool ikea organization. And another. And this page has tons of ideas. Now that I've looked thru some pages, I have another thought--anything you've done that did NOT work? I'd like to learn from others' mistakes! And if you have floor plans, I love those. I'm sort of addicted to them and will spend hours looking at them in the paper if there's an ad, even if it's for someplace I'd never be interested in otherwise. I'm very looking forward to your comments. MMJ - West African print jacket - worn last day of June! Yep, my favorite jacket! The problem with all these photos is that I can no longer live under the illusion that my hair always looks great. This photo could win me an award for very doofy bangs! Anyway, I love the jacket & it's over a dress from Coldwater Creek. I also wear it a lot with a brown skirt (w/ or w/out a sleeveless top). My roommate and I had dinner in NW DC, then hung out at Politics & Prose a bit, before we walked over to hear Hundred Acre Wood at the free Fort Reno concert (every Mon & Thurs at 7:15 between now & the 2nd week of August--but not Monday 7/4!). Low humidity, cooled off a bit, plenty of bug repellant, good music, handsome roommate--a great evening, all in all.